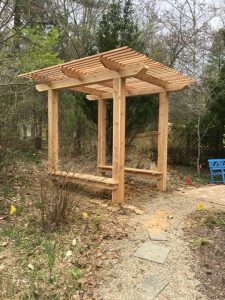 We built this trellis structure! 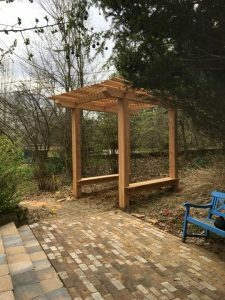 One of our fun spring projects this year!! 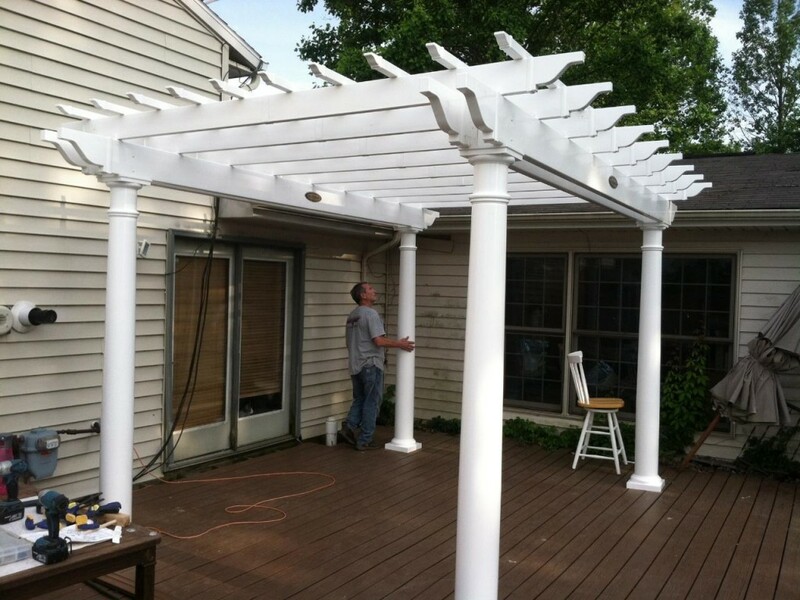 Pergolas are a beautiful option to enhance your patio or walkway. 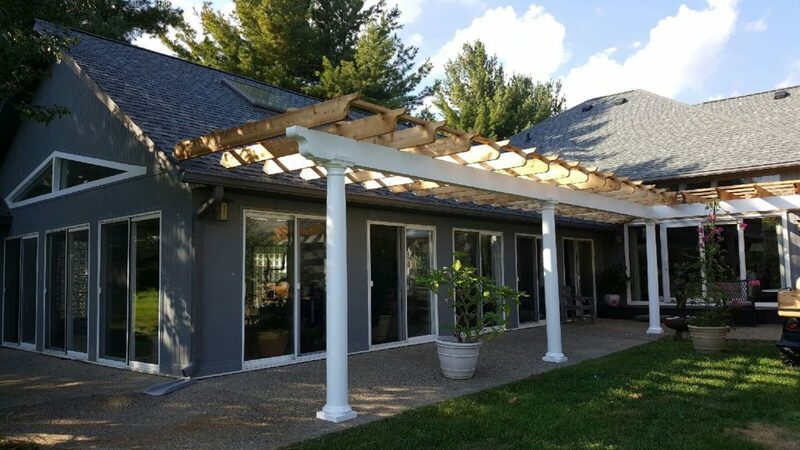 We recently completed a pergola project for a customer in the Bloomington area where we used cedar lumber and white fiberglass columns. We thought you might want to see it! 1. 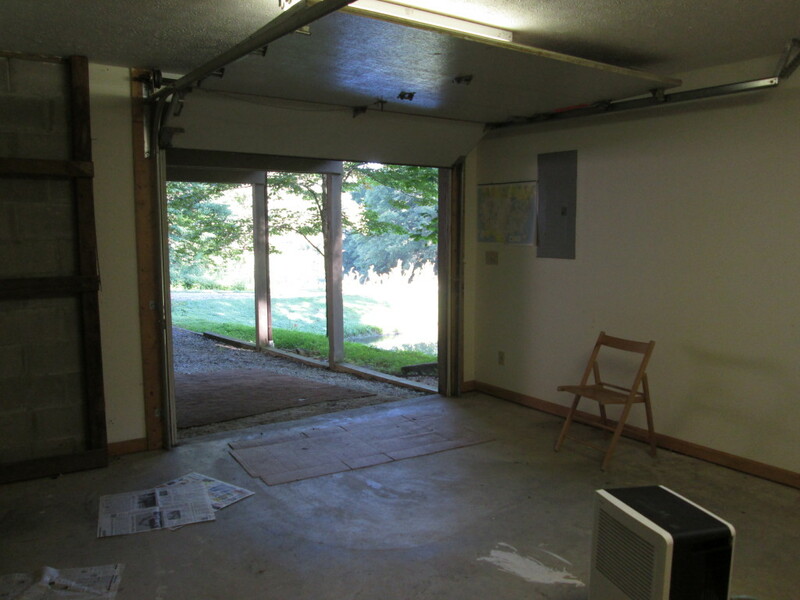 A Mudroom for the Guests – The new floor plan involved removing the overhead garage door and installing a new exterior door. 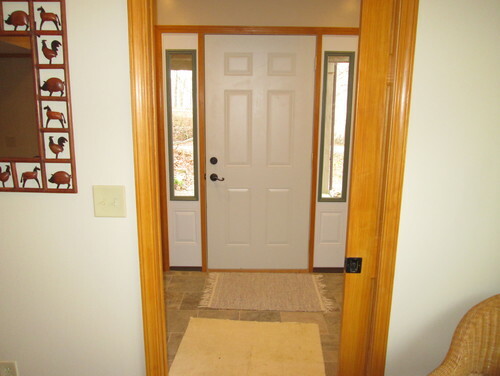 This gave the guests access to their room and bathroom without having to come in and out of the front door! 2. 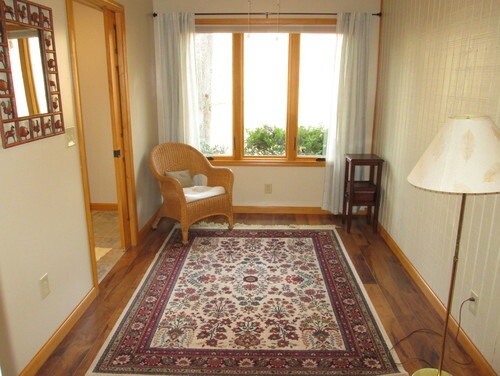 A Larger Window – Where the guest sitting room would be, the homeowner wanted us to remove the existing window and install a larger window in it’s place. 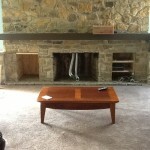 This decision made the sitting room one of our favorite rooms in the new space! 3. 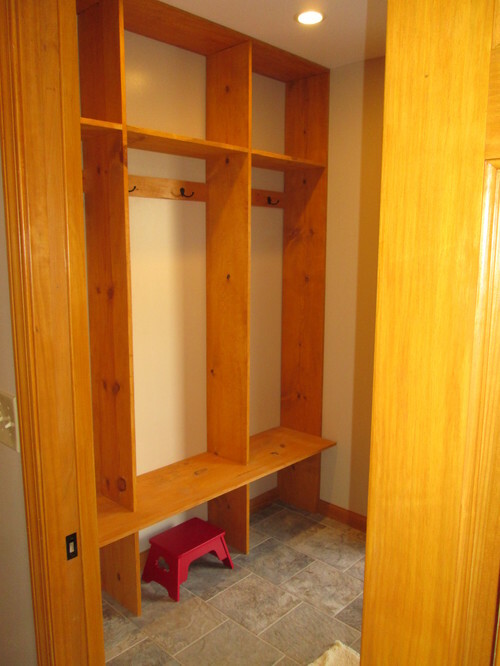 Custom Shelves in Mudroom – What a great idea to add custom shelving to the guest’s mudroom! These shelves are beautiful and add to the character of the home. 4. 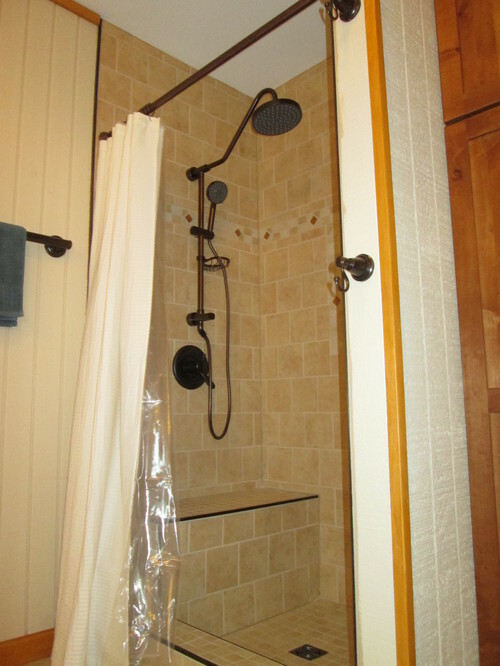 A Tile Shower – The bathroom is nice but the tile shower makes it great! What bathroom doesn’t look better when a tile shower gets installed? 5. 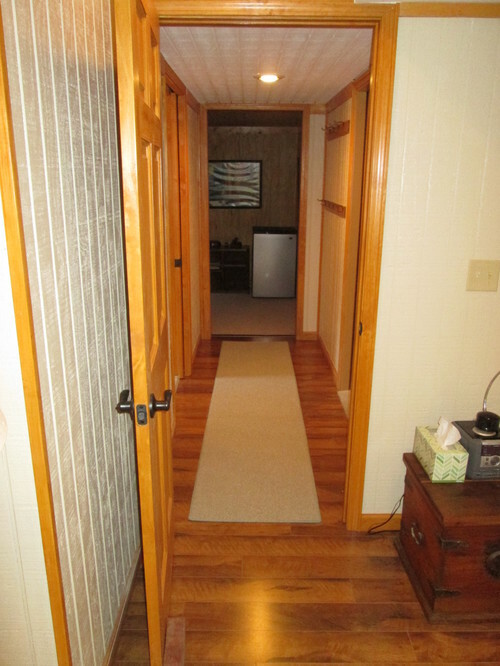 The Painted Wood Paneling – This gives the guest room that warm feeling which matches the rest of the house and makes it feel like it was always a part of the original house plan. 6. 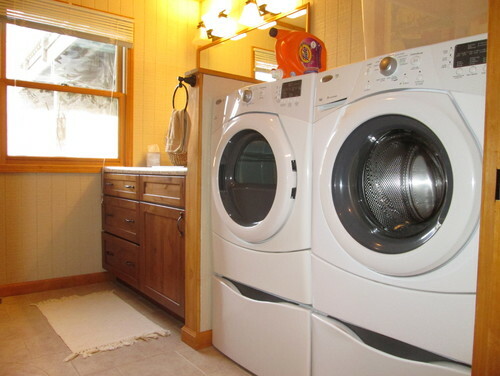 The Washer & Dryer in Bathroom – This works out great! Not only does the washer and dryer have a place to stay but when guests are there they can do laundry! 7. The View – We can’t talk about this beautiful remodel without mentioning the spectacular view! Indiana’s landscape certainly is breathtaking! How many times have you said to yourself, “I wish I just had some shelving right there!” as you look at an unused wall in your house? Now some of you have never had that thought even cross your mind, but for others you know exactly what I’m talking about. There is that one wall that just seems like it needs some shelving. That’s when you call Keith Construction. Our team of craftsman love making your dreams, your Pinterest pins, your Houzz pictures, and your HGTV ideas come to life in your own home! That’s what happened with a customer in the Bloomington area. 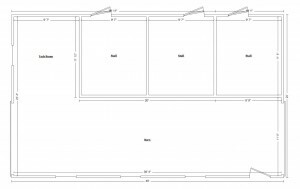 The customer expressed that she was wanting some shelving with a beadboard backing that covered the entire bedroom wall. 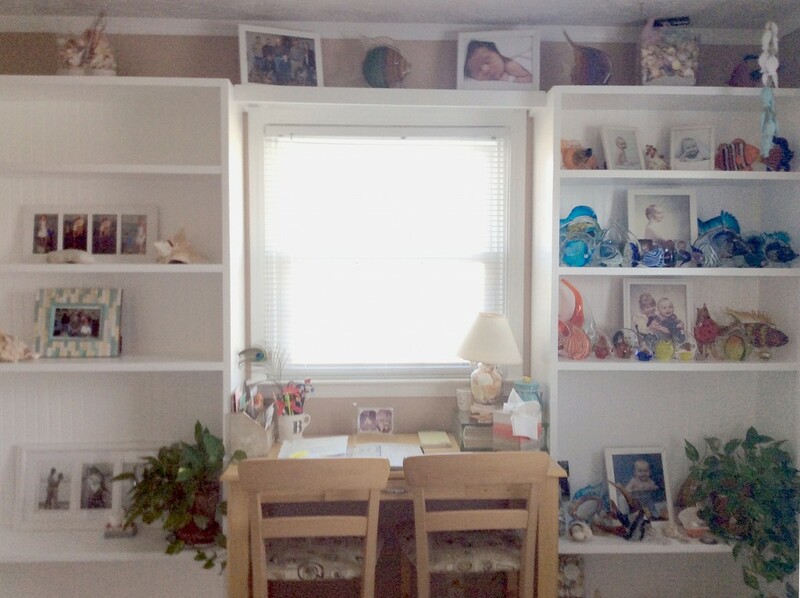 Included in this would be a shelf across the top of the window and the ability to leave her desk where it was. 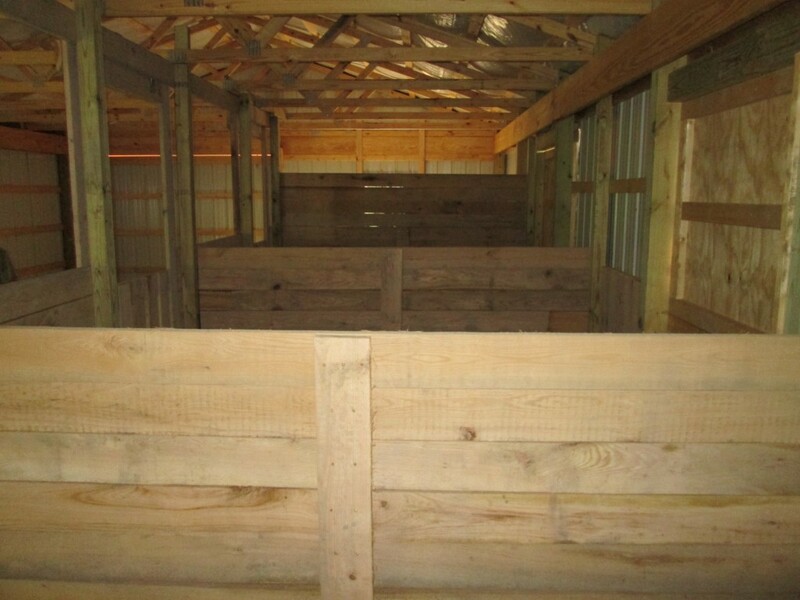 After we worked up an estimate and the customer accepted it, we were able to get our crew started on the project! We stayed in communication with the customer during the process and in the end we were able to give her exactly what she had envisioned! 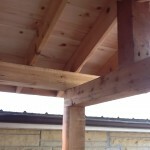 If you have a unique project and you’re not sure who to contact, give us a call! We would love to come out and discuss the project with you and help turn your idea into a reality! 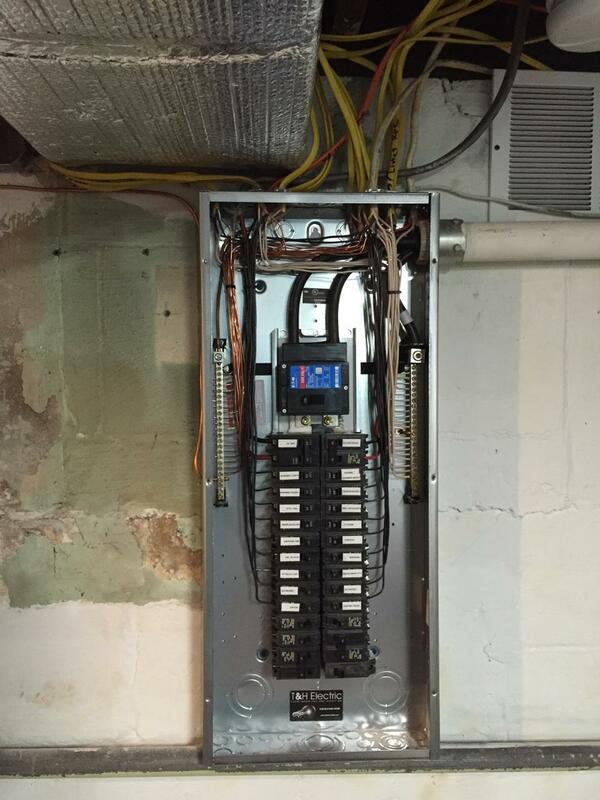 Electrical panels are the very center of your home’s power supply. Our company loves to make these panels safe, secure, and organized. 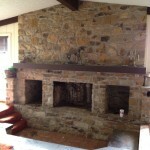 Above is a picture of a panel we just finished installing in the Bloomington area. 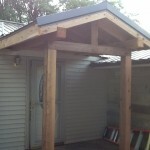 If you are interested in having a panel that looks this good, just give us a call! 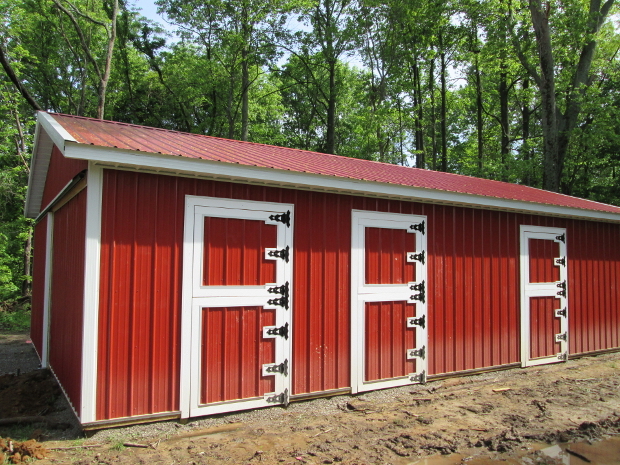 Building a barn for horses is an exciting project to undertake! Just recently we were approached by a customer wanting to do just that. They expressed their wants and desires for the pole barn as well as their prospective budget. 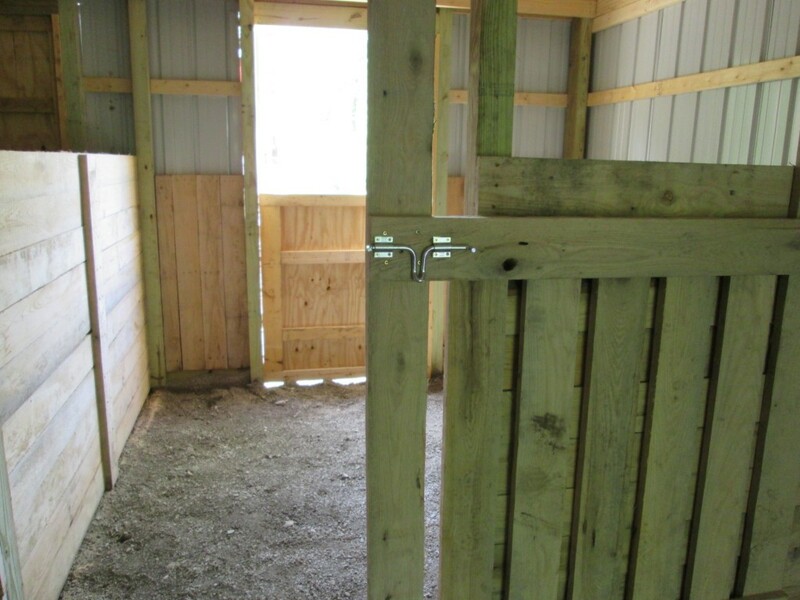 We worked with them on designing a barn that would suit their needs, would be completed inside their budget, and would look great when it was all finished. 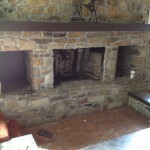 Tired of having the step-down pit in front of your fireplace? 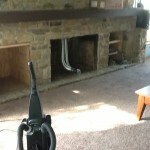 Take a look at this job where Keith Construction changed the entire appearance of the living room by covering up the step-down pit. 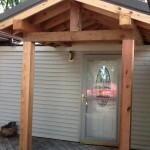 Check out the recent entryway porch built by Keith Construction with rough cut lumber! 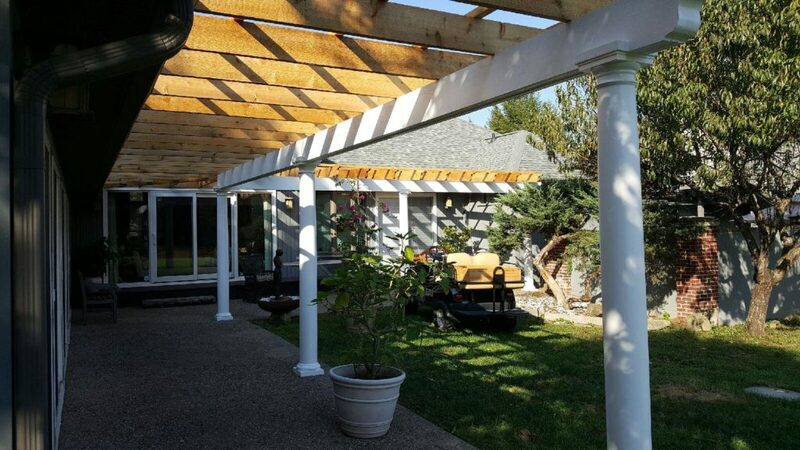 Keith Construction just recently installed a Suncast Pergola changing the look and feel of this customer’s patio. 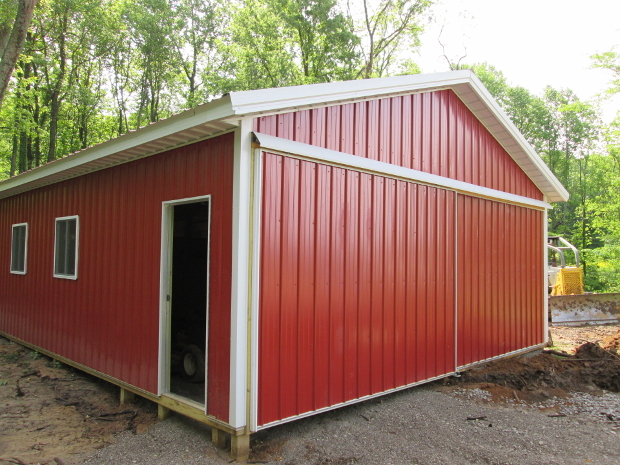 Check out this project where Keith Construction transformed an RV shelter into a one-story apartment!